Let’s be honest, the day does not start around here without coffee. Most of the time, it is either black or has a splash of milk depending on how desperate I am to shake the cobwebs out of my head and start moving toward a productive day. 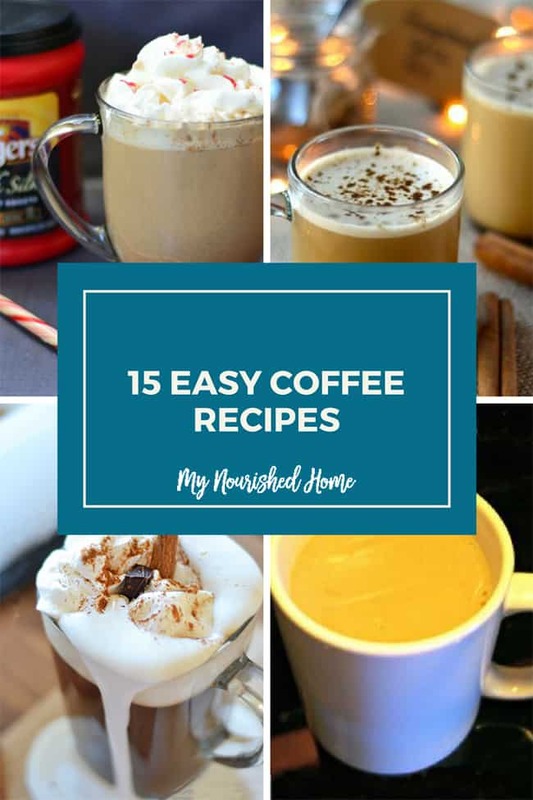 But recently my teenage daughter got the fancy coffee bug and we have been having a blast with these 15 Easy Coffee Recipes. I tease her that it is more dessert than coffee, but who am I kidding, I love dessert too. My husband who considers himself a connoisseur of good coffee grunted at us and passed when my daughter and I first started experimenting with the fancy coffee together. But we have since won him over to the dark side and he lines up for his portion of our latest coffee recipes now. So if you are like me and need a cup of joe as quickly as possible – or if you want something a little more fun in the morning – you don’t have to bother with a drive-thru to get all of your favorite coffee beverages. 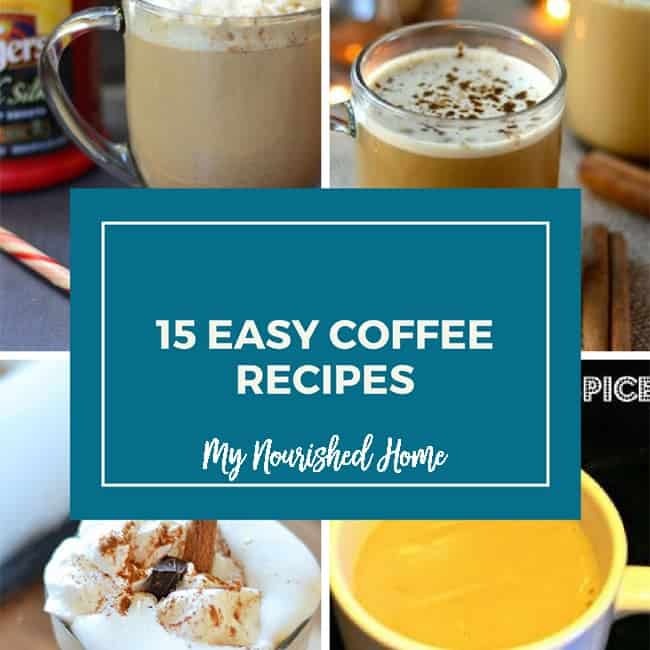 Here are 15 coffee recipes to make from home! Are you a traditional coffee connoisseur or do you like the fancy coffee in the morning? Or are you like me and you’ll take it however you can get it!